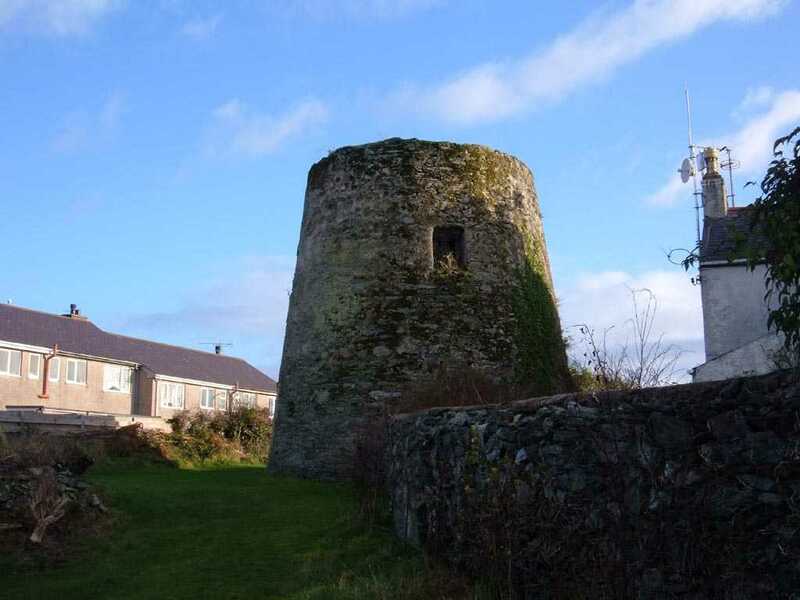 Llandegfan Windmill - Melin Llandegfan on the Isle of Anglesey (Ynys Môn) in North Wales. 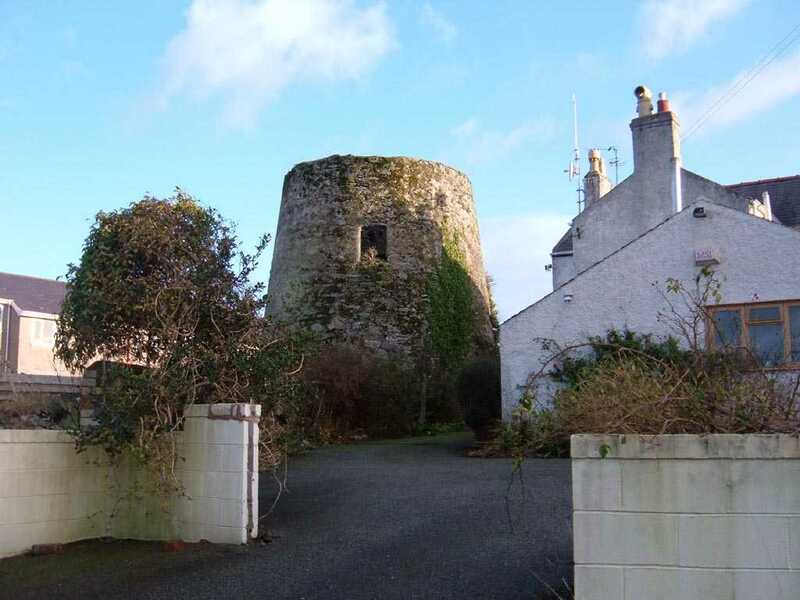 Anglesey, Llandegfan, Melin Llandegfan Windmill through owners gateway in 2006. 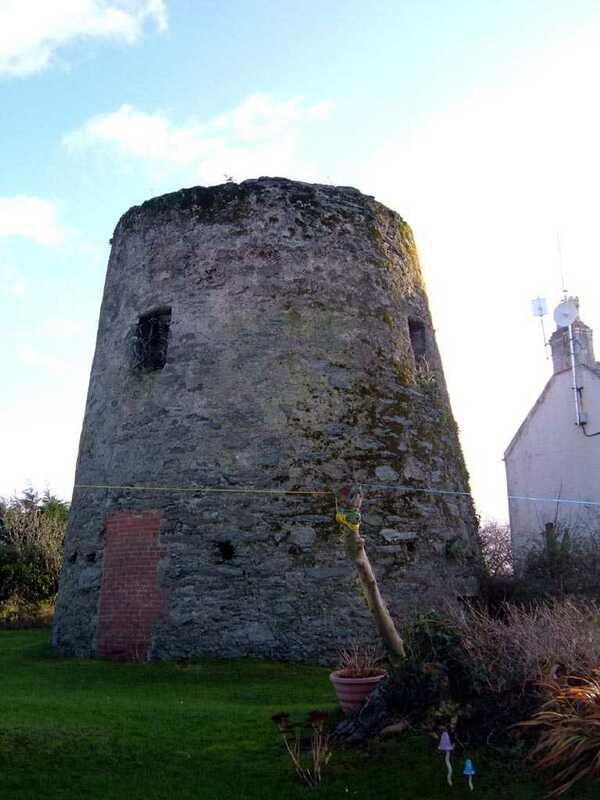 Melin Llandegfan Windmill was built in approximately the 1820's, and continued working as a Corn Mill until the early 1900's. 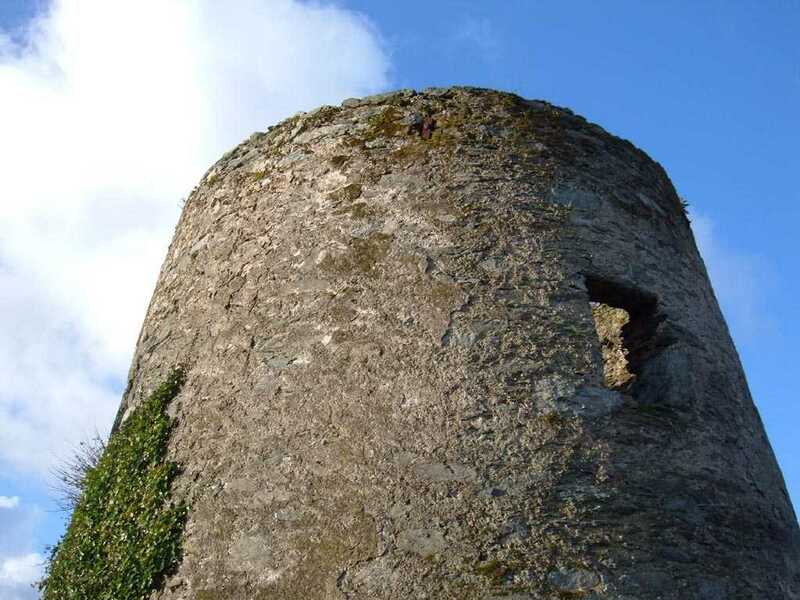 After it went into disuse it was converted to a water tower, providing water for the surrounding properties. 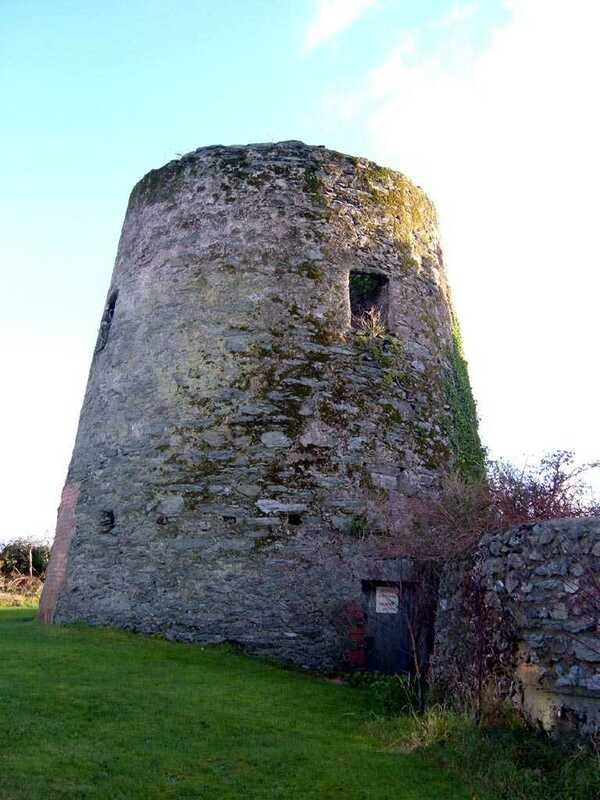 In 1881, living at the property named Mill House was the Corn Miller, 73 year old widower David Roberts, originally from Trawsfynydd in Merionethshire. His grand-daughter lived with him keeping house, and doubtless taking care of him.